The Grand Ayatollah of Iraq, Ali al-Sistani, is probably one of the most influential, controversial and interesting figures in the new Middle East. 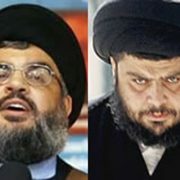 At first glance he greatly resembles the late ayatollah Ruhollah Khomeini, leader of the Islamic Revolution of Iran, who terrorized the West during his 10-year tenure in Tehran (1979-89) and who become an icon for evil in Hollywood. Khomeini died in 1989, but comparisons linger: both as elderly Shi’ites, both bearded, wearing large turbans and black robes. This, however, is where the similarities end. Yet to the average Westerner, both are mullahs, both advocates of an Islamic state, and both resemble Osama bin Laden in faith and appearance. The average American must wonder: Is this what American soldiers fought and died for in Iraq, an Islamic republic like Iran, run by another ayatolla?. They are asking: Did American mothers send their children to the Iraq war in order to liberate men like these from dictatorship? In the post-September 11 world, the image of Sistani is not greatly welcomed by the West. Yet nobody in the West, especially the average American, knows who Ali al-Sistani really is. 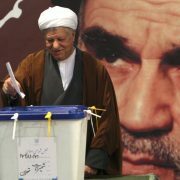 Will this man attack the US Embassy in Baghdad and take hostages, as Khomeini’s followers did in Iran in November 1979? Will he go to war with neighboring countries that oppose his pro-American program, like Syria? Or will he live up to his reputation of being a wise, patriotic and moderate leader for post-Saddam Hussein Iraq? While most of the Western media, influenced by the United States, picture him as one of the most cooperative and patriotic leaders in modern Iraq, his Sunni opponents criticize him in secret, accusing him of unjustifiable cooperation with the Americans. Sistani was born in Mashhad, Iran, in 1929 to a family of religious scholars. He studied at the hands of the grand ayatollah Abdul-Qasim Khoei. Sistani rose in religious rank to be named a marje (religious reference) in 1960 during the heyday of the secular military dictatorship of president Abd al-Karim Qasim. He embraced religion when Arab, rather than Islamic nationalism, was the popular ideology in Iraq, and when the number of theology students was dropping by the thousands. In 1918, for example, 6000 students studied at the theology schools of Sistani’s Najaf, while by 1957, it had dropped to 1,954—of whom, only 326 were Iraqis. Many of those enrolled, according to historian Hanna Batatu, did so only in name in order to secure exemption from otherwise compulsory service in the Iraqi army. Sistani supported separation of religion from the state, under the influence of Khoei, and this spared him persecution by the military dictators of the 1960s and 1970s. In theory, he had no problem with the officers keeping the clergy away from political life in Iraq. 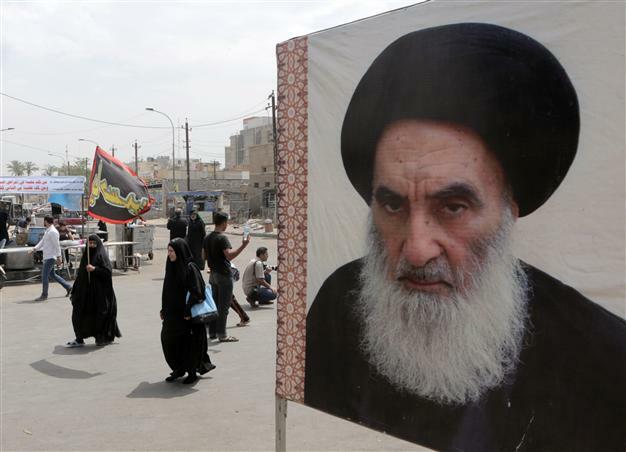 Sistani stayed away from politics, leading a monastic life, and attracted millions of supporters throughout Iraq, Iran, Lebanon, Syria and Pakistan. In theory, he supported the Iranian Islamic Revolution of 1979, but he grew disenchanted by Khomeini’s theocracy. Sistani believed that government should be run by politicians, not clergymen, whose duty would be to maintain law and order and to run economic affairs, day-to-day politics and foreign relations. The clergy should not become politicians, he stressed, because this would corrupt them and distort their religious message. Instead, they should limit themselves to spiritual and religious matters in which the politicians cannot pass sound judgment. Khomeinism, on the other hand, gave complete political control and responsibility to the clergymen. Khomeini advocated a system called vilayet-e-faqih (guardianship of the jurisprudent); clerical rule in political affairs, while Sistani called for it only in social issues. Khomeini established a cult personality for himself in Iran, much to the horror of the US, which he famously labeled “The Great Satan”. Sistani opposed that an ayatollah like Khomeini would involve himself in such a war of words – something that should be handled by the politicians, not the clergy. Even today, with US forces in Iraq, Sistani has refrained from ever criticizing the US, urging his men not to take up arms against the Americans, yet refusing to meet with any US official on Iraqi soil. He acknowledges that they are invaders, but it is not his duty to fight them out of Baghdad. He welcomed the war on Saddam, with no mandate from the United Nations, yet insisted on having UN inspectors at the elections of January 30. While Khomeini’s team, and not necessarily Khomeini himself, was influenced by the methods of Arab dictators, such as immortalizing the leader and one-party rule, Sistani was a democrat at heart who believed in the people’s right to choose. This explains why he embraced the January elections in Iraq, calling on Shi’ites, who make up 60% of Iraq’s 27 million people, to vote, claiming that this was a religious duty. That is precisely why Sistani insisted that every Iraqi Shi’ite must vote – even a woman whose husband forbade her from voting could defy his orders and go to the ballots. The Shi’ites in 1922 had objected to holding elections under occupation (just as the Sunnis are doing today), and suffered tremendously for their stance. What did they get? A British-written constitution, something that would have likely been repeated by the Americans had the Shi’ites refrained from voting in 2005. Sistani sees it as his duty never to let the Shi’ites commit such a blunder again. Sistani’s mentor, Khoei, died in 1992 and named him successor. Saddam dreaded Sistani’s influence, especially since the Shi’ite cleric had endorsed a US-backed Shi’ite rebellion against him in 1991. As much as he wished, Saddam could not murder Sistani because this would have created civil war in Iraq. Having just been ejected from Kuwait, defeated at the hands of the US Army, facing a rebellion in southern Iraq, and brought under UN sanctions, Saddam could not jeopardize his regime by going to war with the Shi’ites. Nor could Saddam make Sistani vanish, as Libyan leader Muammar Gaddafi had done with Lebanese Shi’ite leader Musa al-Sadr in 1978. Years later, when having re-enforced his power in 1999, Saddam murdered Mohammad Sadeq al-Sadr, another famous cleric, without blinking, but in 1991, he had too much on his hands and could not do the same with Sistani. Instead, he put Sistani under house arrest, shut down his mosque and forbade him from preaching. The Shi’ite leader remained in seclusion until Saddam was toppled in 2003. He has since reinforced his authority over Shi’ites throughout the region, sending emissaries to Iran to meet with the clergy, and relying on state-of-the-art technology to market his leadership through the Internet. This is mainly done through a multi-language website called www.sistani.org, which attracts millions of visitors from Iran alone every month. Sistani receives hundreds of visitors at his home in Najaf every day, but does not go out, does not give interviews, nor does he like his photograph taken. His office is Internet-wired and his aides are often on the Internet, surfing to brief him on the latest updates taking place around the world. 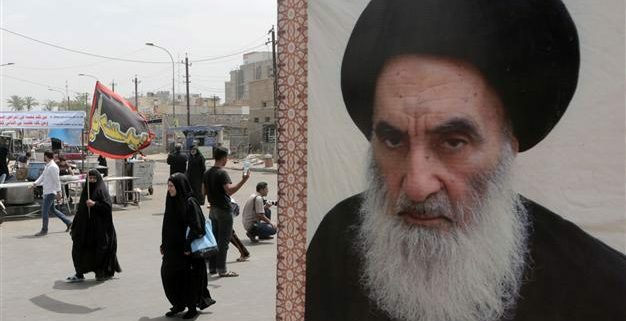 Despite his popularity, Sistani does face several challenges in Iraq. First, many Shi’ites in the country do not want to cooperate with the Americans, remembering only too well how the US triggered them to rise against Saddam in 1991, then let the Iraqi dictator butcher them without lifting a finger to stop him. The Gandhian methods of Sistani have aroused the anger of young radical and militant leaders of the Shi’ite community, such as Muqtada al-Sadr, leader of a militia called the Mehdi Army, who is 42 years Sistani’s junior. 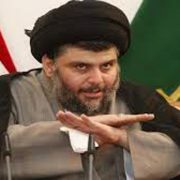 Although he does not match him in religious legitimacy, Muqtada is popular among the youth, and has a particular power base among the urban poor, whereas Sistani’s influence is paramount among the urban middle and higher-class of the Shi’ite community. Some have interpreted Sistani’s increased involvement in political affairs since 2003 as a direct response to the popularity of Muqtada, fearing that he would outflank him. This is far-fetched and very difficult to believe since Sistani is a confident man who intensified his political dealings only because he was the highest religious authority for the Shi’ites in Iraq and felt responsible for them, and Iraq as a whole, due to the turmoil that took place after the fall of Saddam and the terrible economic conditions of all Iraqis. Last April, Muqtada went to war against the Americans in Najaf, inspiring thousands of militant Shi’ites. 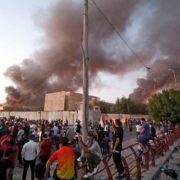 Sistani ordered a ceasefire, which went into effect in May, but in August he was rushed to London for medical reasons, and before he had reached Heathrow Airport, fighting had broken out again in Najaf. 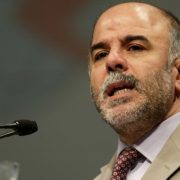 Some speculated that he left Iraq on purpose, to give the Americans an easy assault on Muqtada. By physically absenting himself from Najaf, he was distancing himself completely from Muqtada. The fact that he could have been treated in Iraq, in nearby Iran or in Lebanon, since all he needed was minor surgery, also colored him as too pro-West in the eyes of some conservatives. On August 15, The Sunday Times quoted US commander Major David Holahan on Sistani’s departure: “A lot of people think it is the green light for us to do what we have to do.” Sistani remained abroad for three weeks, returning to Iraq while fighting was still raging in Najaf. Both of the angry Shi’ites were in the mid-20s. Yet Sistani re-intervened at the excellent moment, when Muqtada and his men were surrounded by US tanks, ready to be mowed down. They had no choice but to obey him, and the Americans, too, had no choice but to let him handle the messy situation. The Americans understood how unwise it would be to cross Sistani, and being always in need of legitimate leaders to work with them, they cannot afford losing someone with his influence in the Shi’ite community. When then US administrator L Paul Bremer tried to push for a constitution penned by US-appointed officials, Sistani objected, claiming that the constitutional assembly should be voted for directly by the people themselves. Rather than hold by his views, Bremer immediately backed down. Sistani has a clear agenda: to achieve democracy, safeguard the rights of the Shi’ites and set up an Islam-friendly regime in Baghdad, ruled by politicians yet supervised in religious affairs by the clergy. He sees himself as Iraq’s guardian and not as the political puppet master, as some accuse him of wanting to become. He has read his history correctly and remembers only too well how the Shi’ites had suffered from one Sunni-dominated regime to the next, starting off with the Ottoman sultans in the 1500s to Saddam. He also wants them to remain devoted to Shi’ite Islam, inasmuch as they are devoted to Iraq, to remain united against everyone, the Sunnis, the Americans, the Kurds, etc. Sistani has the power today to make Iraq a democracy. It would be difficult, but the keys to success are in his hands more so than in men like former exiles Ahmad Chalabi or Iyad Allawi, the latter now premier. The Americans must take Sistani very seriously. His cooperation in Iraq is what prevents them from striking at the Shi’ite regime in Iran, despite its nuclear program, or the Shi’ite militia of Hezbollah in Lebanon, despite its continued war with Israel. Sistani would hear nothing of both scenarios. If the Americans foolishly decide to side step him, he could unleash hell in the Fertile Crescent. 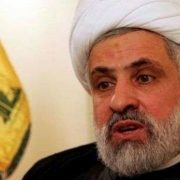 He is the best ayatollah in Iraq and they have to accept that his vision of democracy for post-Saddam Iraq is very different from what they had in mind.